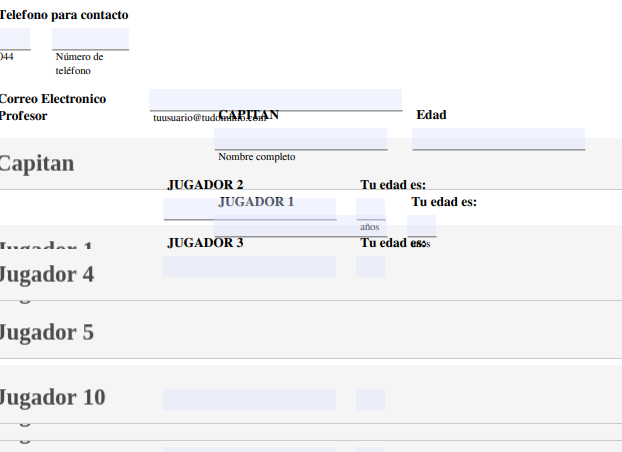 First I have a problem generating a PDF form, because the fields are inaccesible. Second I have a question, I need to check the forms before upload and I have hidden the submit button, One I have checked the forms, Can I upload all the forms to the BD. I test the PDF form version of your form and I was able to see the problem as well. Some of the fields were not usable and misplaced within the PDF form version. Please understand that the conversion of the form to PDF form have some limitations also. Some fields will not work properly when converted to PDF form. 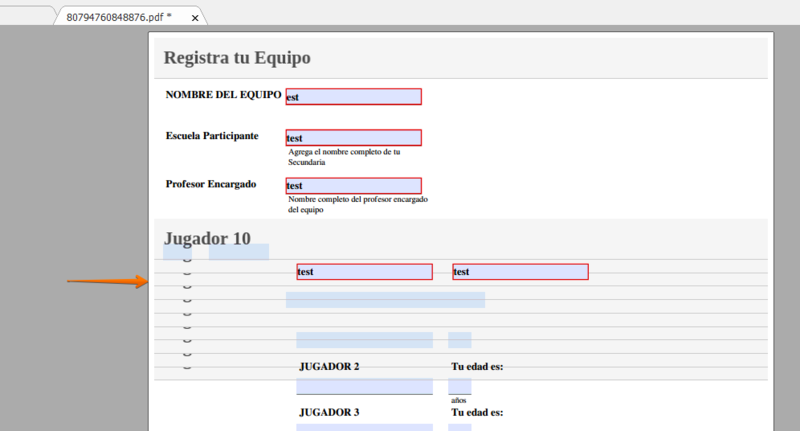 Some style and design customization on the form will also not translate to the PDF form version. I recommend re-designing the form to a more basic one if you intend to convert it the PDF form version. This way the fields will also be translated properly.